i’m pretty sure i say this every year when i post these freebie calendars, but i am so glad to finally get these posted! i really should make them ahead of time, like in the summer when things are slower, but somehow they always get put on the backburner until the end of the year when everything is CRAZY!!! add to that the fact that i’ve been sick since christmas eve and you will see that there really was no chance of me getting these ready before the new year actually started. i’m choosing to see it as a victory that i got these posted and ready to download by jan 1! better late than never, right?! 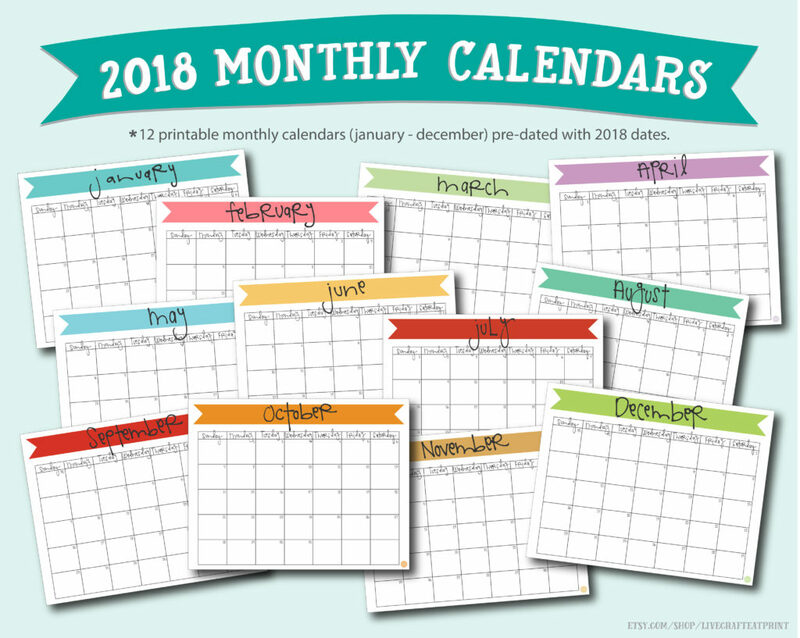 these monthly calendars are meant to be printed at home on 8.5″x11″ paper (the regular size for home printers) and then cut exactly in half to make them 8.5″x5.5″ sheets. 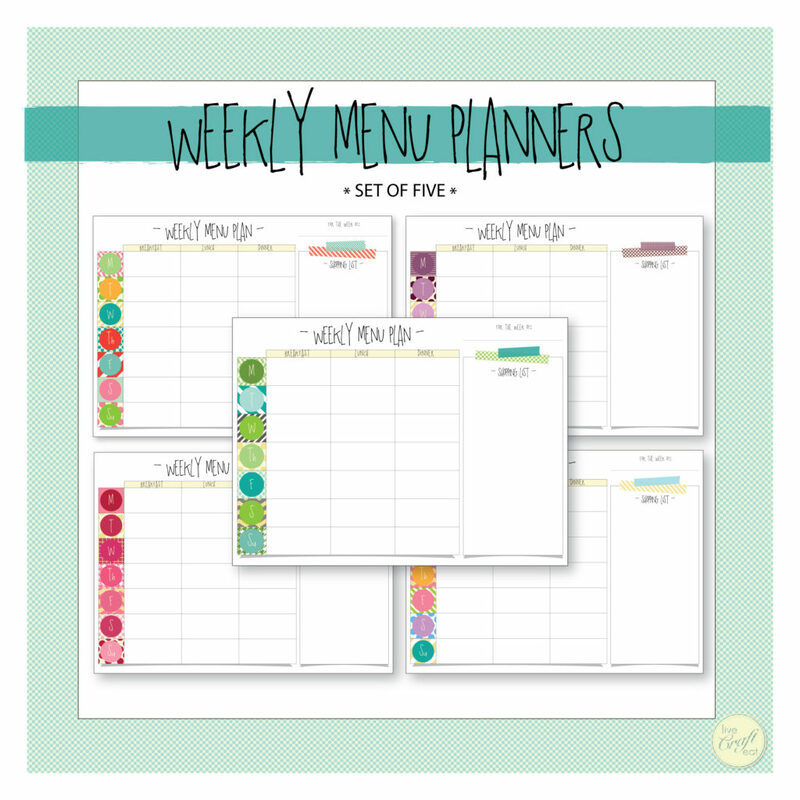 that makes them the approximate dimensions of a5 size planner sheets (which are 8.3″x5.8″), and you can totally use them for that! i personally don’t own an a5 planner, but i do have a pretty cute planner made out of a cereal box that is just about that size (<- check out that link to see how to make your own! ), and i also have a 1/2 size binder (aff link) that i like to use as well. 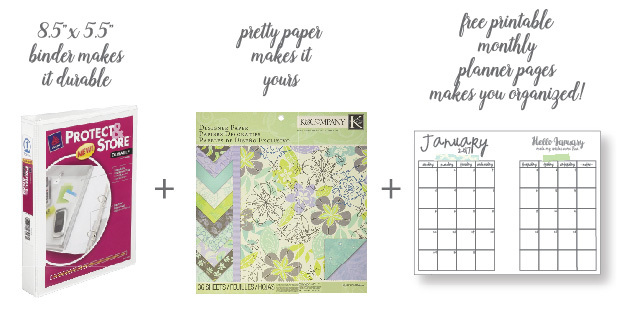 it’s so easy to just grab your favorite scrapbook or patterned paper (aff link), cut it to size with a simple paper cutter (aff link) to slide into the binder cover, print and cut these printable monthly calendar pages, and boom! 2018 planner done! and at a fraction of the cost of those other planners you can buy, because, um, they’re FREE! each month has fun, motivational sayings/quotes and i love picking these out each year. i hope you find them as motivational as i do! 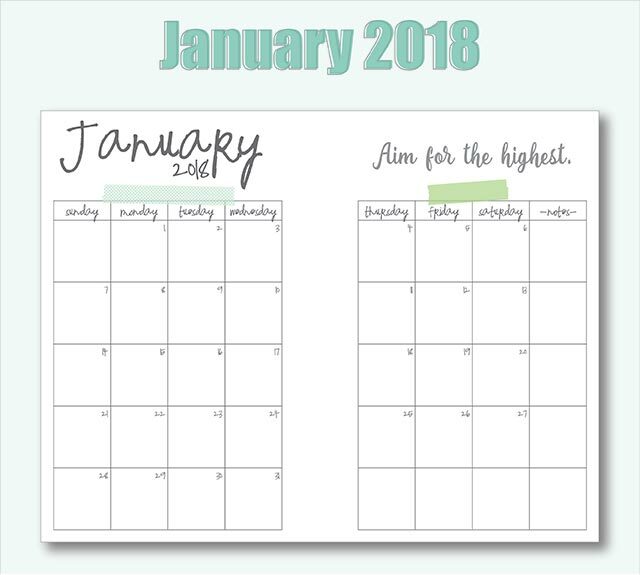 each month also has a little “notes” column where you can write in this and that…whatever you need to remember that week. or sometimes if i am having a hard time feeling motivated to complete my to do list, i’ll write in a little “reward” at the end of the week in the notes column and if i’ve done everything i needed to do during the week then i get to treat myself! hey, rewards don’t just work for kids…. 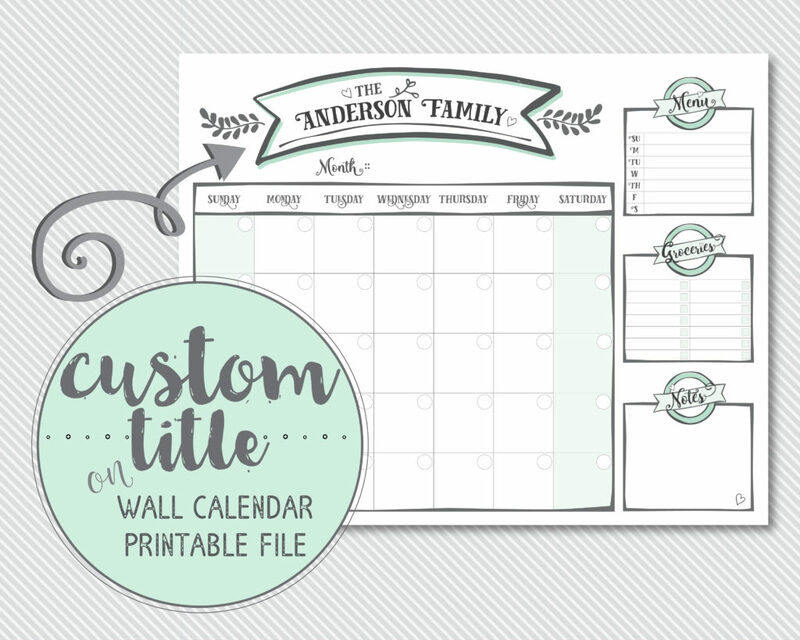 if you’d like a year’s worth of these free printable a5 monthly planner pages, go ahead and click here to download yours today! here’s to a great new year!! if you like these calendars, you should check out my etsy shop, livecrafteatprint! thank you so much for the free monthly planner! Love it! you are so very welcome! thank YOU for visiting this little blog of mine! Love this! When will you have the 2019 available? Hi Michelle! I’m so glad you like it! I usually don’t have these available until the winter of the previous year. So 2019 will probably be posted in November or December of 2018. Looking forward to the 2019 one! Thanks Helen! I hope to get it posted soon! Thank you for the Calendar. They are great and inspirational too. I’m so glad you like them! Thanks for commenting! This is absolutely perfect! Thank You for inspiring others and I will keep checking in and reviewing your page! PTL! Thank you Shelley! I’m so happy you like it! Exactly what I have been looking for! I love the font and the notes box at the end of the week. Thanks so much! I’m glad you like it!! Will you be making a 2019 planner like this one? I plan on it! I usually get them out the November/December prior. Thanks for visiting my blog!